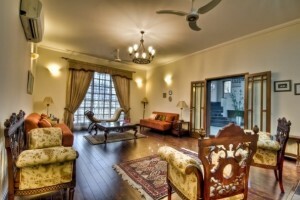 If people in Pakistan could design only one room in their home, I bet you, drawing room would top their list. Simply because it’s a cherished space that creates the first impression of your house on the visitors with its design and decor. And you certainly don’t want to make a bad first impression. 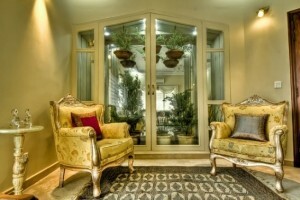 Most of all, drawing room is the space that usually sets the tone of decorating style in homes. 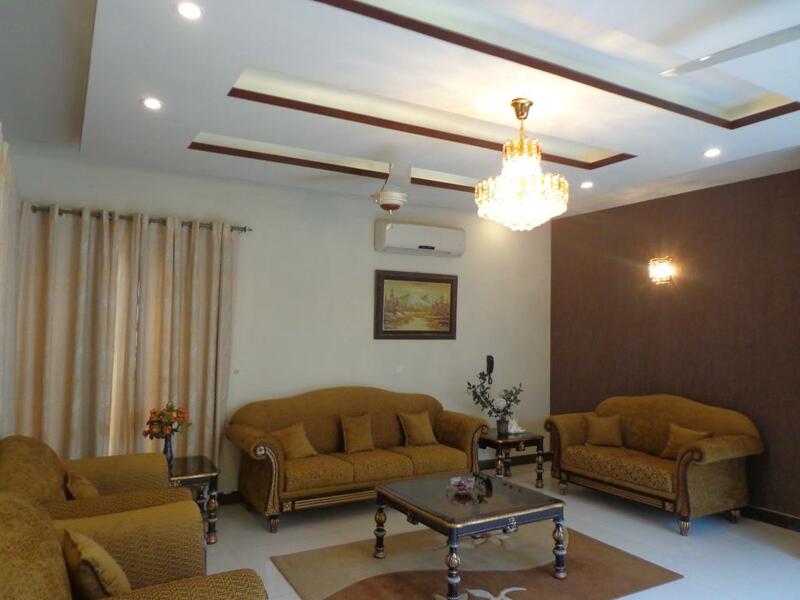 It is for this reason, a lot of people gets anxious when it comes to remodelling or designing a new drawing room. 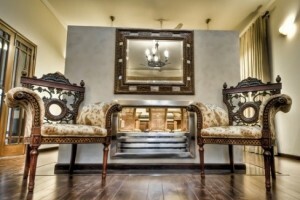 However, top interior designers in Pakistan such as AmerAdnan suggests one shouldn’t hesitate to experiment with different design styles and concepts when designing a drawing room because it reflects your choice, taste and lifestyle. Below AmerAdnan has shared some of his amazing drawing room designs that can be a source of inspiration for you to create a splendid formal sitting room. The wooden lamination on the floor and the solid wood cabinetry with glass panel is giving this curved design drawing room a distinct but wonderful look. The beautiful wrought iron chandelier together with the splendid glass panel doors, wooden plank flooring and lavish furnishings are giving this drawing room a chic look. To give privacy to the residents, drawing room is segregated from dining room through this wall that has a magnificent fireplace. We used marbalized paint on the fireplace. This lovely drawing is constructed next to a patio that has both hanging and other indoor plants. The living room has marble flooring. While the soft off-white paint is giving the room a relaxed and cosy feel. 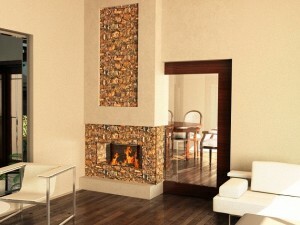 To create a focal point, AmerAdnan used stone cladding both on the wall and fireplace to give the space a timeless look. The wooden flooring is further contributing to its exquisiteness.